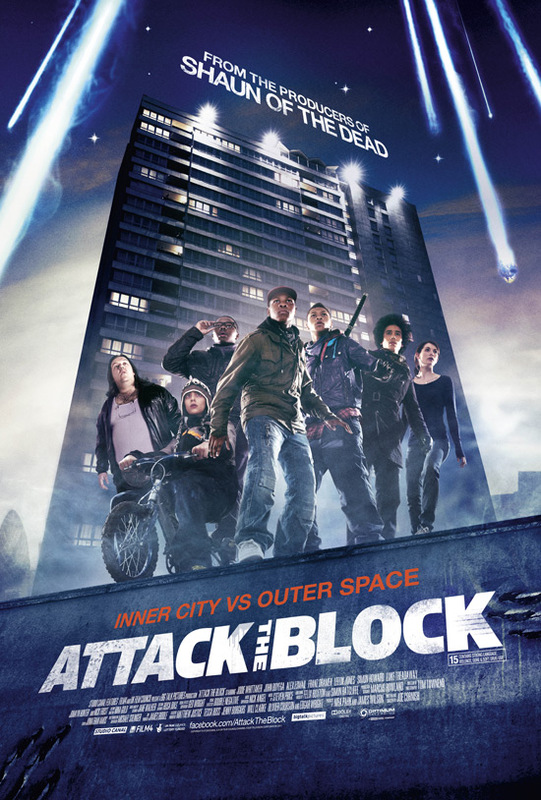 ATTACK THE BLOCK is the tightly written, brilliantly observed, laugh-out-loud hilarious directorial debut of British TV comedian, Joe Cornish. The concept is brilliant - what would happen if aliens didn't invade LA or New York, but a South London council estate? Suddenly all the anti-social behaviour that the Daily Mail readers like to pillory looks like basic survival skills, and the essential paedophobia of modern British society is turned on its head. The muggers, dope dealers and bad-boys are shown to be lost kids with mad skills who save the day. What I love about this film is that while it's making a serious social point - all the more serious after this summer's riots - it wears its learning lightly. It gets the whole Castigat Ridendo Mores point I was making in my review of THE CONSPIRATOR. It never forgets to make us laugh - it has characters we believe in and care about - and it immerses us in the messy details of modern life on a London estate. And it goes to show that you can make a great movie that's just 90 minutes long. Kudos to Joe Cornish for the genuinely funny, intelligent script. But also real kudos for pulling off some cool sci-fi effects on a low-budget, and for assembling a mostly unknown cast of kids for the film. Once again, young Sammy Williams (WILD BILL) steals every scene he's in, but there are no weak links here. A must-see movie, and likely to become a cult favourite on DVD. Moreover, one of the few films that exploits its SHAUN OF THE DEAD connections, that deserves to do so. 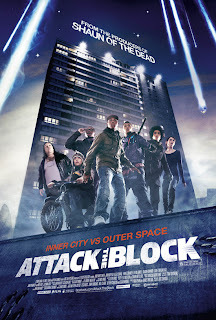 ATTACK THE BLOCK played SXSW 2011 and was released this summer in the UK, Ireland, Indonesia, Malaysia, Belgium, France, Iceland, the Netherlands, the USA, Turkey, Kuwait, Germany, Singapore and Israel. It is currently on release in Sweden. It is available to rent and own.